How Dangerous Is the Cleric Anwar al-Awlaki? Ever leave your keys in the car? Sure you have. But if you felt stupid about it, you have nothing on would-be mass murderer Faisal Shahzad, the bumbling alleged Times Square bomber who, we have learned in recent days, not only built a defective bomb with fertilizer incapable of exploding but also, after lighting the fuse of his would-be bomb and dashing away, realized he had left the keys to his getaway car in the car he was trying to blow up. His foolishness would be funnier, however, if it weren't for another revelation about the bungled terrorism attempt. 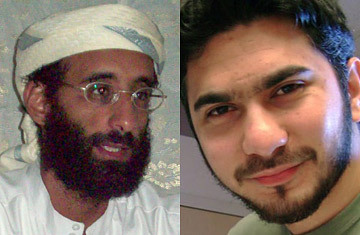 According to reports in the New York Times and elsewhere, Shahzad was inspired by fugitive cleric Anwar al-Awlaki, the American religious figure believed to now be living in Yemen who spoke with three of the 9/11 plotters in 2001, was interrogated by the FBI after the attacks on the World Trade Center and the Pentagon and has recently been linked to a number of radicals via the Internet. There is mounting evidence linking Shahzad to both al-Awlaki and the Pakistani Taliban, according to Evan Kohlmann, a terrorism expert at Flashpoint Partners. Shortly before Shahzad was captured, a representative of the Pakistani Taliban posted a video of the group's leader, Baitullah Mehsud, claiming responsibility for the act. The person who posted the video chatted with viewers. "In one of his replies, he advised them that they should study the life of the prophet Muhammad as told by  as he described it  the good sheik Anwar al-Awlaki," Kohlmann says. "We don't know yet whether there's a definitive connection between Shahzad and the Pakistani Taliban, but it's awfully interesting that an apparent representative of the Pakistani Taliban, posting videos claiming credit for this, was advising people watching it that they should study Anwar al-Awlaki." Kohlman says he is certain that al-Awlaki is in Yemen. "We speak to people who know him well over there," he says. Revelations of the link to Shahzad will most likely step up calls for al-Awlaki's assassination. The cleric has reportedly been added to the list of people preapproved by the White House for assassination by the CIA or special forces. Attempts have been made to locate him in Yemen but have failed. Still, says Kohlmann, he's a marked man: "He's really got nowhere else to go at this point, other than maybe Somalia." The Shahzad case is a reminder that there are many susceptible militants out there who can be won over by the violent provocations of al-Awlaki and his ilk. Al-Awlaki is believed to have spoken directly with two other recent domestic-terrorism suspects. One was Major Nidal Malik Hasan, who went on a shooting rampage at Fort Hood, Texas, last November. In addition, accused Christmas Day bomber Umar Farouk Abdulmutallab is believed to have spoken with al-Awlaki in Yemen while Abdulmutallab was there receiving training for his failed attempt to blow up a plane over Detroit. The Shahzad case makes al-Awlaki an even more prominent target and will probably further fuel the debate over the expanded use of drones in targeting militants in foreign countries. The Obama Administration's stepped-up use of drones has been extraordinarily effective, lopping off the leadership of al-Qaeda and the Taliban in Afghanistan and Pakistan. At the same time, it has caused a spike in civilian casualties that has in turn been cited by some captured suspected terrorists as motivation for their activities. The Administration has attempted to refine drone use to reduce civilian casualties. Modulating the balance of hard and soft power in the fight against terrorists is emerging as a key tactical element in the conflict. Until he becomes a victim of the former, al-Awlaki may want to include reminders in his Internet diatribes about basic things like not forgetting your keys. But the fact that susceptible people like Shahzad are continuing to fall under his influence is cause for concern, not laughter.